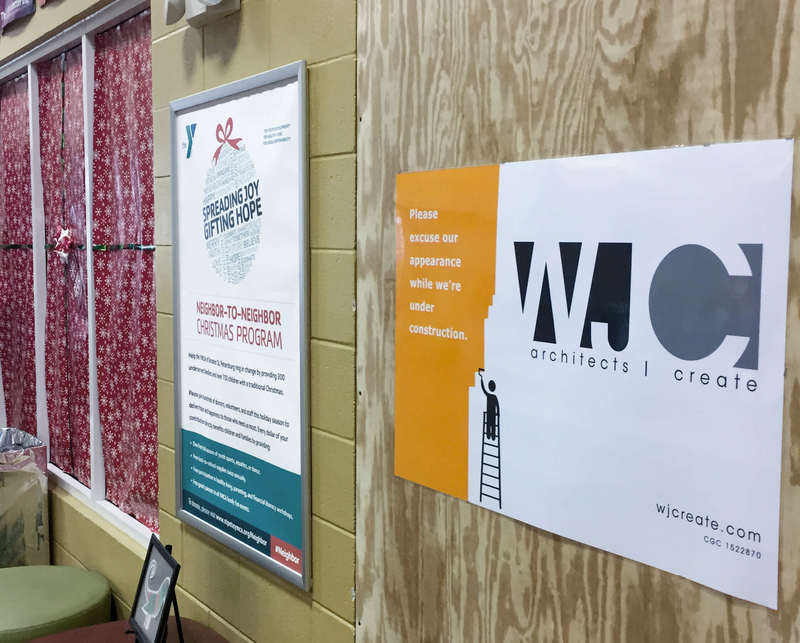 Earlier this month WJCreate began renovations to the existing Jim and Heather Gills YMCA in St. Petersburg. The project consists of a complete gut to the existing fitness center to provide a more modern fitness experience for YMCA members with updated equipment, flooring, and a bright new color scheme. Interior concrete walls were demolished to increase the amount of floor space and to provide patrons with easier access to-and-from the fitness room. With construction lasting just a couple of weeks – YMCA members will be able to return from the holidays to a new state-of-the-art fitness center when the facility opens back up December 26th. An affiliate of long-successful Wannemacher Jensen Architects (WJA), WJCreate (WJC) brings single-source architect-led construction management to the design-build process. Providing integrated architecture and construction, WJC manages development from concept to completion, with sole accountability under one roof.